Two sailors were at sea. A storm blew up. The boat was rocking. One of the sailors hurried to tie things down, while the other just watched and moved with the storm. The first said, “if we don´t save the boat we will die.” The second replied, “it is not my boat.” Will they save themselves? In the article “open book innovation in business” we summarized its central points and we considered that companies in Latin America can adapt it creatively. In this article we think that the cooperatives could even more easily adapt this innovation. Because they are organizations composed of members, and the cases where they have personnel (workers and/or employees), there is openess to their joining, their identity is being associative and being an enterprise, and they have a democratic organizational structure based on cooperative principles. But, even though the cooperatives emerged, like the corporations in the US, for the good of society, like the corporations that have moved away from the original idea of their founding, a good part of the cooperatives were also co-opted by elites. Our thesis is that the cooperatives have rules and a democratic organizational basis for the “associative” part of their identity, and not for their “business” part, which has made them controllable and eroded their associative side. Consequently, we argue that the innovation of “open books” could be the key piece for that “business” side of the cooperatives, and that energizing the associative side, would put the cooperatives back on the path to contributing to the transformation of our socieites. That is what this article deals with. 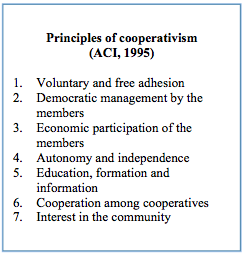 Cooperativism, founded 250 years ago, has general principles and rules that are found in the Cooperative Law in each country, and in the statutes of each cooperative. This is mostly for its “associative side”, where each member is one vote. While its “business side” is another game and requires specific rules that start from the economic contributions (amount of money) of each member, where “you earn in accordance with your contributions”. This combination of the associative and the business provides each member the path for organizing, learning by scaling up through the different bodies of the cooperative and through getting actively involved in the work of the business in which their organization participates. A member contributes to the success of the cooperative (improving quality, lowering costs and developing products and services that no one else has) only to the extent that that member knows their organization: each member must understand how the cooperative makes (or loses) money through each of its processes. First, with the participation of all the members they define their objectives, goals and collective incentives for each year, the deals to include, the amount to produce and sell, amount of savings and loans, and incentives for meeting and/or surpassing the goals. 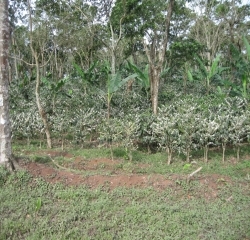 Secondly, they also define their processes and standards in each area, for example, if the cooperative is a coffee or cacao coop, the members in the production area define their steps of production, set their standard of productivity to reach (qq/mz), the harvest collection area sets the % of the total production of its members to collect, the area of processing sets the % of yield (of wet coffee to sun dried, of cacao pulp to dry cocoa), the credit area sets the % of recovery and percentage in arrears, the administrative area sets the % costs/member, and the commercialization area sets the % of product placed in niche markets; and each area constructs their standardized costs. Third, members of each area report on their profits and losses, and in doing so see the effect of their work on the balance statement of the organization; each piece of data is evaluated in terms of the objectives, goals and standards set for the year. This review allows transparency of where problems may be occurring. Fourth, this process is systematic, reported monthly, so when there are losses or lack of fulfillment in certain areas, it gets resolved among all, without waiting for the end of the year when corrections may be too late. This is possible because everyone knows that the more they learn about each step of their business, the more they can see, the better they can perform, the more their cooperative earns, the more return there is on their economic contributions, and the more their communities improve. This seems necessary and possible, if the mentality and current institutionality of the cooperatives changes. 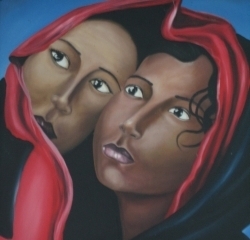 Myths that currently govern the lives of the cooperatives are seemingly “written in stone”: “an illiterate person does not understand the numbers”, “the fieldhand does not speak in the presence of the patron”, “not even the mother of the manager should know the information about exports”. This mentality of centralizing information in an elite, complemented by members with a “fieldhand” mentality, like that of the second “sailor” in the story at the beginning of the article, has led to systematic administrative crises and to the death of the cooperatives. Nevertheless, “what is written in stone” could be “filed down” implementing what is described in the previous paragraph, that there is no one person capable of knowing more than all of the people together, and that each person knows and can contribute – as Edmundo López, a cooperative leader says, “The illiterate person is not the one who cannot read letters, but the one that cannot read their reality.” If a member receives profits in a cooperative in accordance with their contributions, the member will want to know about all the activities of their cooperative, will increase their contributions, and will contribute to the balance sheet of their organization. This change in attitude requires an organizational change in the cooperatives. Informal institutions have governed the economic side of the cooperatives, and from there its associative side. “The board has the responsibility, the rest are followers”, “we always need a patron”, “some of us are born to be in charge, and others to obey orders,” “if I leave my post others will ruin the principles of the cooperative”. With this basis, the technocratic-administrative elite, faithful to their interests, understood that “information is power”. The structure of democratic organization from the associative side can be a reality if the business side functions under the modality of a circular rather than pyramid organization: owners (members), board and management, communicating openly and together, involved in meeting collectively defined objectives and goals. There the key is that the grassroots cooperatives be the first to move, because of those below improve, those above will have no other option but to improve. Taking as a reference “open books management”, the innovation is in changing as cooperatives and in being a means for their owners to improve their lives and contribute to social, environmental and gender equity. It is important that cooperatives know that there is a means of achieving this open book status, through training and practice. 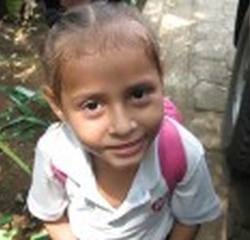 They can do it as first and second tier cooperatives, as part of the fair trade chain, or from other forms of integration. It requires the members to be like the sailor who hurried to save the boat, aware that their lives depend to a large extent on saving cooperativism. 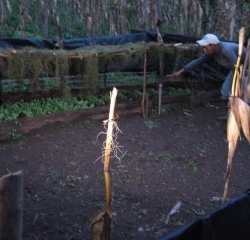 If you want to get a harvest in two months, plant beans, if you want to harvest in five years, plant avocados, and if you want to harvest your whole life, plant a transparent and participatory cooperative. I applaud and agree with your article. Leaders can make the economics of a business transparent, involve all employees to understand and share in the improved financial results. This consistently drives improved results and improves employee engagement. The trust and focus on the common good captures the employees’ hearts while the information captures their minds. Commonly referred to as Open-Book Management, this creates an empowered, learning organization. And the good news is that it is not very difficult to do. Interesting to know about open book management. This approach is a good way to let the employee know about the company’s rules, as well as employees can get to know about engagement benefits.